The 2006, Lagoon Power 44 is fast, fuel efficient and sturdy. The Dupla looks like a floating villa with its elegant interior, exceptional design and luxurious features. It sleeps 8 comfortably, offers ample living space, and a well-equipped kitchen for two small families to enjoy a holiday trip together. This cruiser can take you around the islands, in search of hidden coves and private beaches and at the same time is stylish enough to fit into the most exclusive of boat gatherings. It's offers both high speed and extended cruising ranges that equate to lower fuel costs and less time passage which enable more time actually spent holidaying. 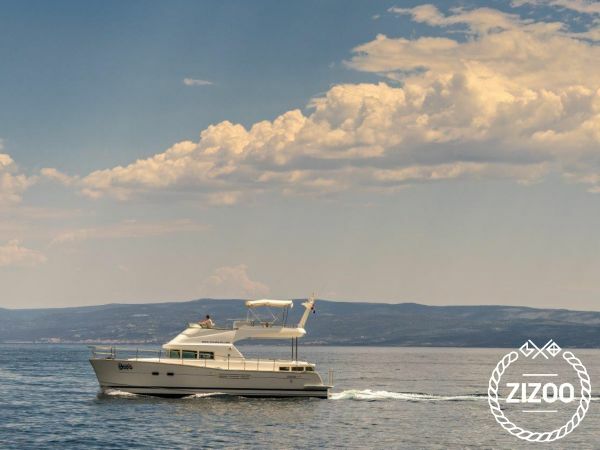 For all your sailing and boating needs don't forget to contact the accommodating crew in Split.